The parent company of PokerStars, Canada-based Amaya Group, has announced that it has reached a settlement with Italy’s tax authorities in the matter of a €300 tax fraud accusation made against the PokerStars.it site and several related business entities. Amaya has agreed to pay a far smaller amount, just €5.9 million, as a final settlement in connection with the case. Last March, Italy’s Guardia di Finanza, the nation’s central tax agency, filed the €300 million claim, asserting that PokerStars.it and the related business entities had engaged in a complex accounting scheme called transfer pricing. The initial €300 billion figure included substantial interest and penalties as well. The tax-reducing strategy involved transferring certain business services within a single multinational entity, but involving more than one nation. Through the various accounting schemes used, the Italian tax officials accused PokerStars.it and the related companies of artificial lowering the total revenue, and thus the tax based on that revenue, in violation of Italian tax laws. It is important to note that the accusations involved activity that occurred in the business entities between 2009 and 2014, when the company was run by its original founders, the Scheinberg family. All PokerStars online platforms and related business entities were sold to Amaya in the summer of 2014 in a $4.9 billion blockbuster reverse acquisition. The potential liability involving the Italian case has long been disclosed to consumers, and no stock-price change — or even a slight uptick — is expected as a result of the settlement. Amaya share prices have dipped roughly 10% over the last week, but it is hard to differentiate specific losses and attribute them to the Italian settlement, given the global correction in stock prices over the same period. Amaya is also weathering intentionally-inflicted wobbles in its daily revenue numbers, produced by on-again/off-again sitout protests by some of the site’s highest-volume players. That separate matter barely touches PokerStars.it’s operations, but contributes to the ongoing turmoil the company currently faces. Regarding the closure of the Italy-based case, an Amaya corporate presser offered, “Amaya Inc. today said it has paid €5.9 million as a final settlement with Italian tax authorities to resolve a previously disclosed tax dispute in which Italian authorities estimated that approximately €85 million were owed by a subsidiary of Amaya related to its Italian operations under the PokerStars brand for the 2009 through 2014 tax years. Though the Italian matter is finished, Amaya remains enmeshed in multiple legal and financial tussles related to the site’s international operations during the Scheinberg years. While this case’s settlement puts only a tiny dent in the escrow account held by Amaya, a much larger potential settlement, the bizarre illegal-gambling case brought against Amaya by the US state of Kentucky which has resulted in an initial $871 million summary judgment, could wipe out the entire escrow account and much, much more. 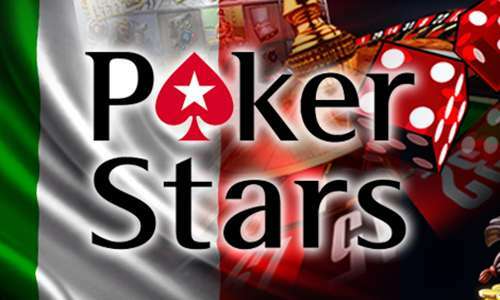 There is also the possibility that the two other single-nation sites serviced by PokerStars in this timeframe, PokerStars.fr (France) and PokerStars.sp (Spain), might also be conducting preliminary audits to see if the old PokerStars accounting practices were suspicious there as well. Any investigations, should they exist, would not become known until one of the countries’ potential claims against PokerStars is announced.